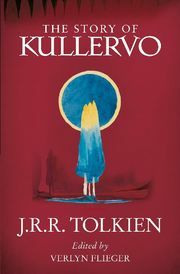 Brought up in the homestead of the dark magician Untamo, who killed his father, kidnapped his mother, Kullervo is alone save for the love of his twin sister, Wanona, and guarded by the magical powers of the black dog, Musti. When Kullervo is sold into slavery he swears revenge on the magician, but he will learn that even at the point of vengeance there is no escape from the cruellest of fates. The world first publication of a previously unknown work of fantasy by J.R.R. Tolkien.